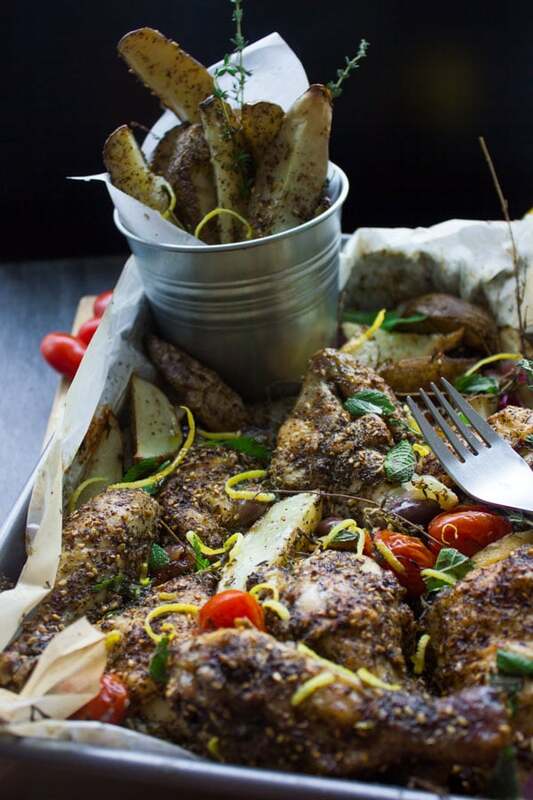 This easy One Pan Chicken Potato Bake with Za’atar spice, lemon and garlic is the perfect way to mix up your dinner routine! All ingredients are simply tossed, then baked in the oven until the chicken is tender and the potato wedges golden and crispy. A simple yet special family favorite! 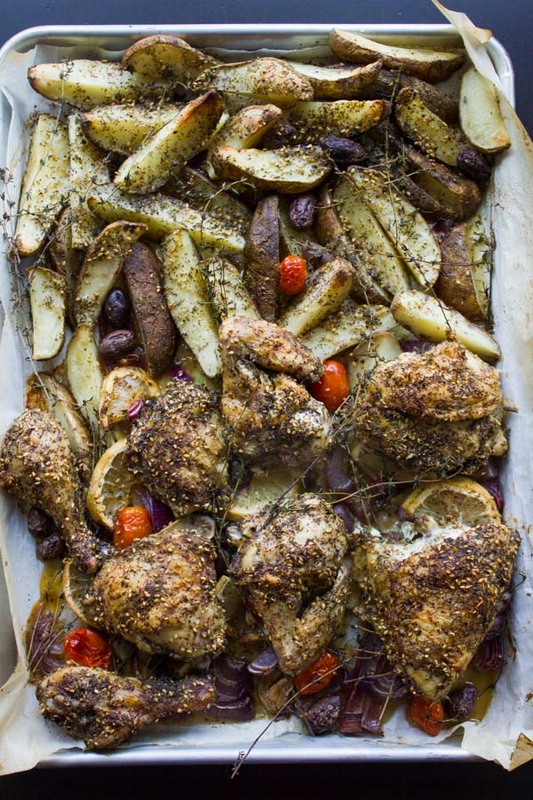 If you’re a busy bee, this recipe for One Pan Chicken Potato Bake with Zaatar is for you! It needs no marinades or special tricks, and all ingredients go in the oven together. 40 mins later, you’ve got yourself a flavorful Mediterranean platter with succulent chicken and tender veggies. Busy or not, weekday or weekend, any time, any season, this is a perfect way to end your day! This one-pan meal thing is as simple as it sounds. All ingredients tossed in one pan and in the oven it goes for 40 mins. 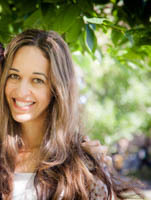 In the meantime, have a shower, set the table, set up a nice movie and if you’re in the mood, chop up a nice salad, then sit back and enjoy yourself some succulent flavorful chicken, and tender flavorful potato wedges. The one pan chicken potato bake concept is very common, the spice blend and flavors are what make it unique. Still, I’m keeping it simple as simple can be using one spice blend only, and it’s one of my favorites: Zaatar spice. This spice blend is a mixture of thyme, sesame, salt and sumac ( a lemon-ish tasting flower spice) in perfect proportions. So, it tastes like thyme with a lemony tang and a rich sesame bite. On its own it flavors the chicken and potatoes perfectly—just a bit of salt and olive oil is all I add. To maximize the flavors, I place sliced onions, garlic, lemon slices, baby tomatoes and black olives at the bottom of my roasting pan. The chicken pieces and potato sit over those flavor boosters. Preheat the oven to 420 degrees F. Arrange the onions, garlic, cherry tomatoes, lemon and kalamata olives on a parchment-lined baking sheet. Sprinkle everything with 2 tablespoons of Zaatar spice, a pinch of salt and a drizzle of olive oil. Toss to combine. 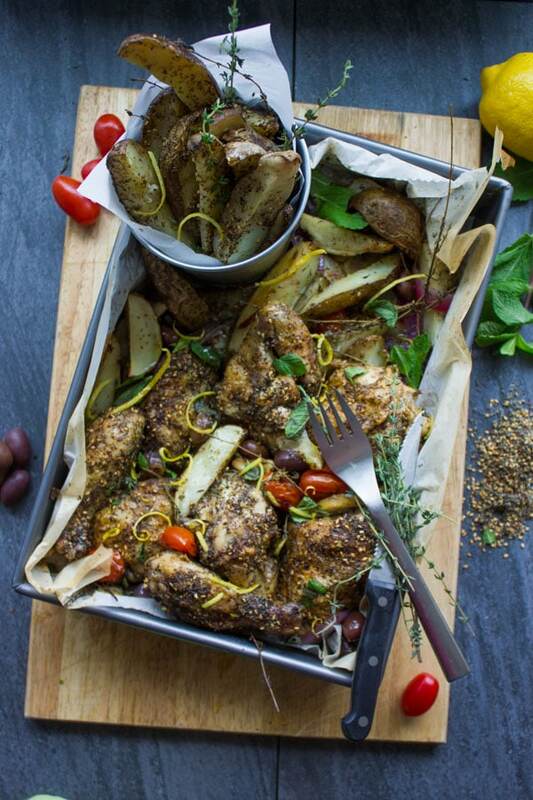 Rub the chicken pieces with 2/3 cup of Zaatar spice, a tablespoon of olive oil and 1/2 teaspoon of salt. Rub the spice over the chicken and underneath the skin making sure it gets everywhere. Layer the chicken over the onion mixture on half of the baking sheet. Rub the potatoes with the remaining zaatar, olive oil and spice and place them over the onion mixture on the other half of the baking sheet. Bake for 40 minutes until golden crisp and cooked through. Now that’s a busy day’s dinner that tastes like grandma’s comfort cooking! Enjoy! You can find Zaatar in many stores but if you want to make Zaatar from scratch, you can check out this Labneh with Mint Olive Zaatar topping recipe. 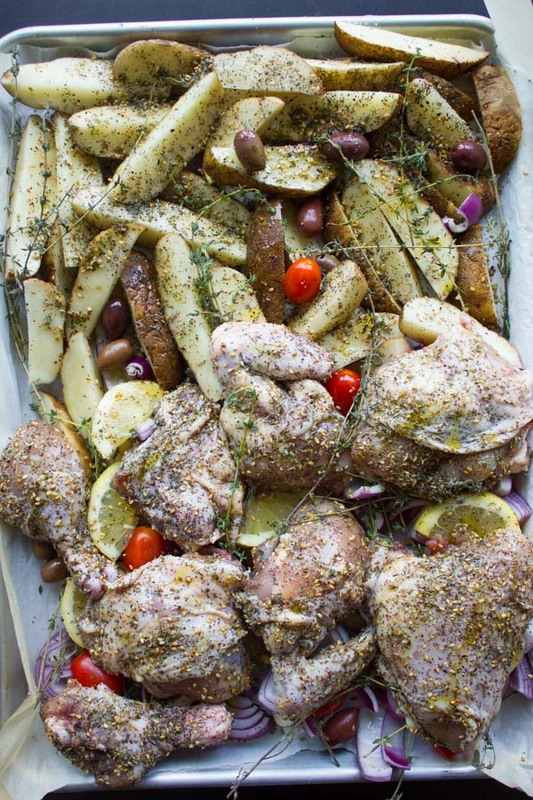 ANY of your favorite spices will make this chicken potato bake a fantastic dinner! Spice up your onions, tomatoes, garlic, olives etc. with the same spice blend you’re using on your chicken. Cut up your chicken to approximately the same sizes, leaving the bones in for maximum flavor. Layer the chicken pieces over the onion mix, and the potatoes on the other half of the sheet pan. Do not overlap chicken and potatoes because they will end up a bit soggy. If you feel like a special treat, drizzle the chicken with a bit of my Honey Greek Salad dressing when it’s done for more flavor, and serve it with a healthy Greek salad. 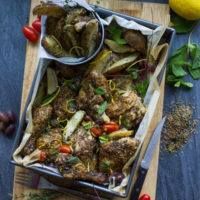 This easy One Pan Chicken Potato Bake with Za'atar spice, lemon and garlic is the perfect way to mix up your dinner routine! All ingredients are simply tossed, then baked in the oven until the chicken is tender and the potato wedges golden crispy. A simple yet special family favourite! Arrange the onions, garlic, cherry tomatoes, lemon and kalamata olives on a parchment-lined baking sheet. 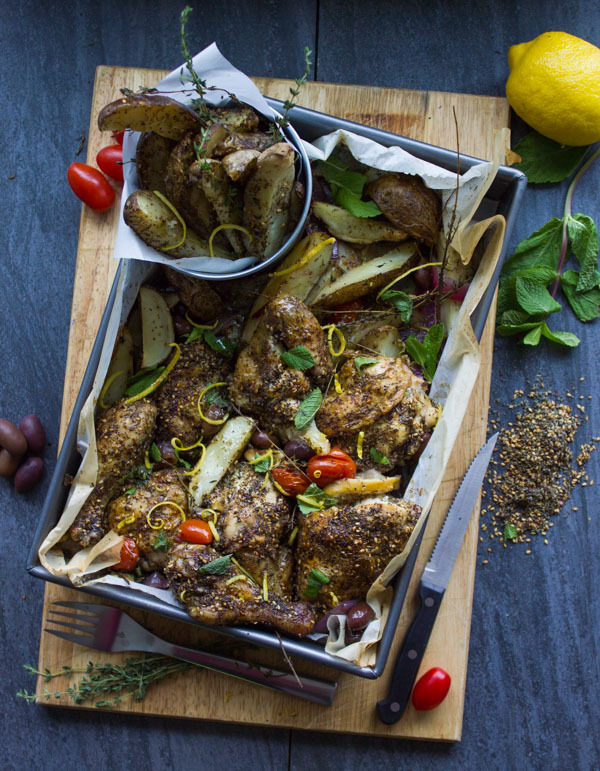 Sprinkle 2 tablespoons of Zaatar spice, a pinch of salt and a drizzle of olive oil (1 teaspoon). Toss them well. 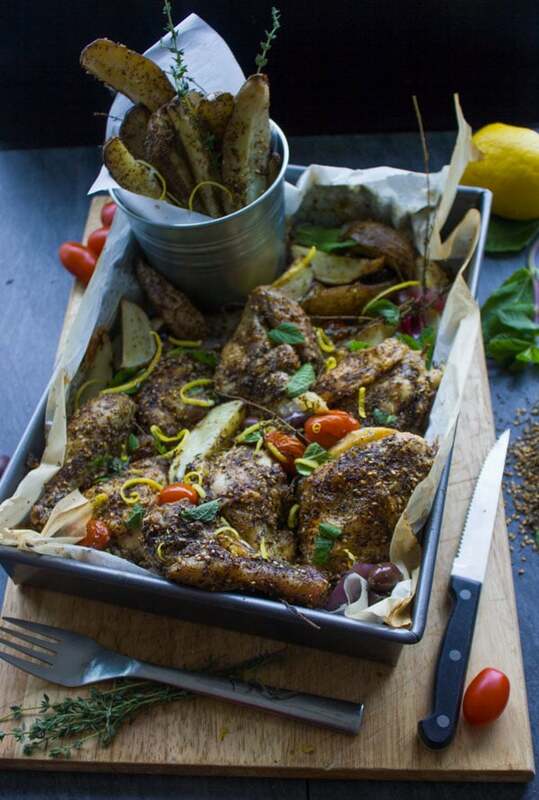 Rub the chicken pieces with 2/3 cup of Zaatar spice, a tablespoon of olive oil and 1/2 teaspoon of salt. Rub the spice over the chicken and underneath the skin as best as you can. Then layer the chicken over the onion mixture on half of the baking sheet. Rub the potatoes with the remaining zaatar, olive oil and spice. Layer the potatoes over the onion mixture on the other half of the baking sheet. Bake the pan for 40 minutes until golden crisp and cooked through. Enjoy! A good recipe….pity, though, that you couldn’t consider the 95% of the world that uses metric measure!